How much more can you take? 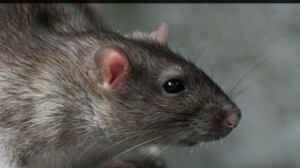 Isn’t it time you went looking for a rat control service in Moston? You can be sure that you’re not the only one suffering – rats are a common problem that needs to be dealt with by the experts. The problem with rats is not only that they cause damage to property, it’s that they pose such an enormous health hazard. You don’t want to be responsible for sickness and even death of your employees or clients and customers, do you? Rather be safe than sorry, and call in a rat control service right away. In Moston, Pro-kill Environmental provides a comprehensive rat control service. If you even suspect that you have a rat problem, call in the experts to assess the situation and take the necessary action that protects your staff and customers. Rats are secretive and prefer to hide from humans – you may not even know how big your problem is. If a rat is observed, it is likely that you already have a real problem. If you haven’t seen rats, look out for tell-tale signs like grease or dirt marks along floorboards and walls, or rat droppings. Rats gnaw on materials like plastic and wood – these are telltale signs. You may be tempted to tackle a rat problem on your own. How hard can it be? Various traps are readily available and easy to set up, but beware! Traps are for specific types of rats, and may not even work on your particular specimens. Rats tend to be wary creatures, and may avoid your traps altogether. For a rat control servce In Moston, call the experts at Pro-Kill environmental for the perfect solutions that will save you both time and money. This entry was posted in Rat Control and tagged Moston Rat Control Service, Rat Control Service In Moston. Bookmark the permalink.